About 20 minutes west of Ft. Lauderdale, Davie, Florida, is located in Broward County. Davie real estate will put you in a community with green open space, parks and trails and the South Florida Educational Center. Close to I-595 and I-75 across Florida, Davie is in an ideal location and close to Ft. Lauderdale/Hollywood International Airport. 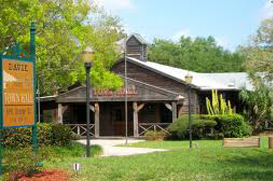 A rural feeling and trails for horseback riding make Davie unique to South Florida. One and two story single family homes and a few multi-family homes as well as condos and townhouses can be found in Davie. Properties range from Patio homes in Shenandoah, executive style homes in Forest Ridge and Poinciana Parc to large estates with room for horses. Riverstone, Mystique, Long Lake Ranches and Imagination Farms offer has luxury acre homes with all the amenities, views and more. Schools in Davie are highly rated and are part of the Broward County Public School District. Included are Nova Eisenhower Elementary School, Somerset Academy, Fox Trail, Flamingo and more. Middle schools include Indian Ridge, Nova and three more. Western High, Nova High School and other choices can be found for public high schools in the Davie area. Additionally, a number or private and parochial school options make this area, with a reputation for good education, a fine place to educate your children. For higher education, Florida Atlantic University, Nova Southeastern University, Broward College and the University of Florida are all within the area of Davie. Educational services provide many jobs in Davie. Professional and scientific, healthcare and other industries can be found. Commuting to Ft. Lauderdale is possible as well. Much happens in the Ft. Lauderdale area, and Davie is no exception. February brings the 75th Annual Orange Blossom Festival with arts and crafts, an animal farm, western town, music and entertainment and more. The Rodeo happens in Davie, as the award winning Davie Pro Rodeo takes place at the arena. Trail rides are also offered for those with a horse. Davie real estate gives you all this and more.